I will not say no for being paid for my work. "Who would?!" Many women in business are replying with that word often, and at one time, that woman was me. By denying compensated opportunities, I missed out on the resource to sow back into my business, I neglected my purpose, and I risked not having relationships with other enterprising black women. So why did I say no? Ugh! I don't know. But I did, and had to face it, fight it, and go through to overcome it. Fear. Consistently saying no comes from a place of fear, and usually in a form of false objections. "The crews, the young men who'd transmuted their fear into rage, were the greatest danger. The crews walked the blocks of their neighborhood, loud, and rude, because it was only through their loud rudeness that they might feel any sense of security and power." "...And I knew mothers who belted their girls, but the belt could not save these girls from the drug dealers twice their age. ...cracked jokes on the boy whose mother wore him out with a beating in front of his entire fifth-grade class. ...some girl whose mother was known to reach for anything-- cable wires, extension cords, pots, pans. We were laughing, but I know that we were afraid of those who loved us most...." (Ta-Nehisi Coates - Between the World and Me). Furthermore, let-downs and the insecurities from rejection generates fear. Fear-nurturing seeds have a way of springing up when least expected, and at times, many of us unknowingly nurtured those seeds, varing in degrees within each of us. Wheather affected directly or indirectly, a part of the grim flower wants to choke out the growth that has a desire to bloom. A woman entrepreneur who limits her reach by not building business relationships with other women producers, stunts the growth of her business. When new in business, she has the attention of many consumers, so she might feel quite comfortable and confident in that merchant-customer relationship. Enters the season of slow business (it comes, and quite often for ALL levels of business, but the micro-producer feels it to the bones), and as a creator, her idle hands causes a feeling of despondency. She might have never considered that consumers cannot always be counted on. Consider the rich, amber, ooey-gooey sweet treat called honey. The flowers that call out to the bees are not directly located by the hives, they have to be sought. The gathered pollen does not miraculously turn into honey, the bees have to put in the work. During an interview, I was asked, "When did you begin seeing more and better growth in your business?" When I started saying yes. Sure, not every good decision yielded a lucrative outcome, because variances do exist. But saying no certainly did not make room for my gifts/work either. Yes made it possible for me to learn how to understand my work's value more, instead of flatly turning down opportunities out of fear, I learned how to negotiate, and I gained understanding of how to say no smartly. I am gratefully aligned with women producers, and we make money together, to keep our creative endeavors and priorities (family, business, community) in motion. You can't make it to the sweet-spot without the work. Success is not found in the comfort-zone of fear. I recently saw my past reflection in another sister entrepreneur. I reached out to her proposing a collaboration - offering compensation for her work and a creator's fee. The proposal was written in detail (questions, etc. ), therefore, it required a detailed response. Although she replied with, "Yes", the details were not filled in. From my experience and observation of others, an "I changed my mind" was coming. After asking her if more time was needed to reach a firm decision, and to reply to me by the afternoon to come to an agreement, she answered yes to both. Well, I heard from her at eleven o'clock PM (LOL), and her answer wasn't a flat out no, it was (what did I mention up top?) a false objection. I saw it. I understood it. So instead of closing the door (we really need to stop counting each other out, and cutting each other off so quickly), I gave her another option (giving her no immediate monetary gain) that would fit better in the comfort-zone. We are moving forward. I love you sista. We are all at different stages, and we are ALL still learning, growing, and healing. The Buy Black and Support Black Business, geared towards black consumers, are very good movements, overall. 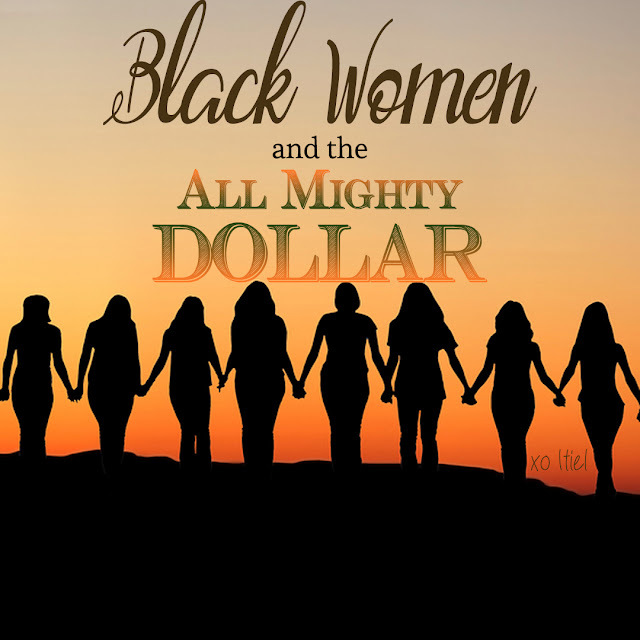 However, many black women who are producers are depending solely on the dollar coming in from that direction. "Well, can't we count on our people?!" We absolutely can. A black consumer is a consumer, and consumers consume from everyone - some are more loyal than others, and you can most certainly count on them, but not necessarily when you need them, and black merchants need them pretty much all the time (consider the season(s) of slow business). Connecting with other black women producers, circulating money with other black women producers, and nurturing other black women producers, will help you, us, and the community thrive. Discipline the mind to see the big picture of growth within all your endeavors, without fear. I would like to generate dialogue on these posts. What are your thoughts? Leave a comment below, and/or, check Your Thought below.